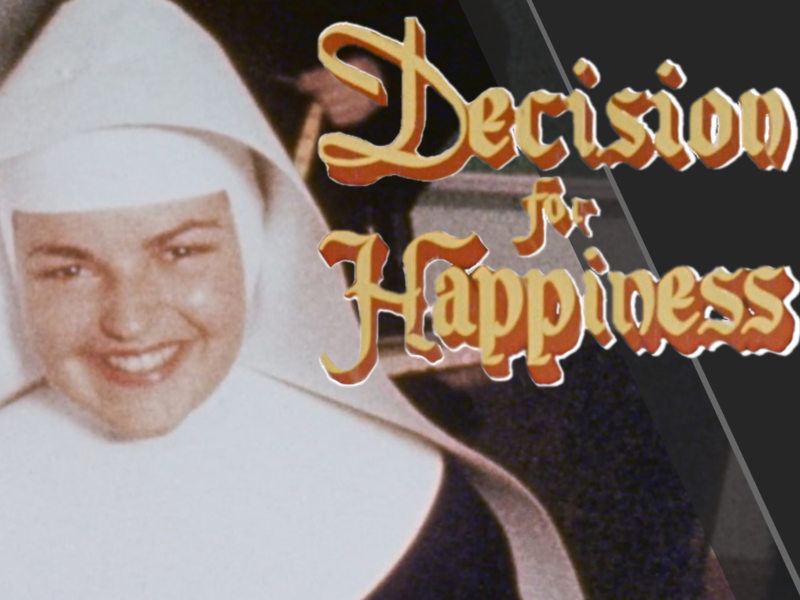 As part of the 1958 centennial celebration of the founding of CSA, the Congregation participated in the production of the film which depicts a young woman’s decision to enter the convent and her subsequent religious formation. The project was begun at St. Mary’s Springs Academy, the high school operated by the sisters in Fond du Lac, but soon became a community-wide project involving a local family whose daughter played the main character, another local woman who narrated the film, and CSA sisters. A local photographer volunteered to do all the filming and the local radio station lent their best recording equipment to the production. The movie was produced and edited by Larry Heath, a Hollywood producer whose wife was an alumna of St. Mary’s Springs. He was able to secure the cooperation of an MGM music editor, RCA sound technicians, and the optical laboratories of Pathé Studios to make the film.